Powerful 350-watt motor with a sleek electronic touchpad and LED indicator lights. ABS housing with stainless steel front panel. Standby Mode; Safety interlock and Auto Stop features. High, low and pulse controls with a patented ultra sharp stainless steel blade. 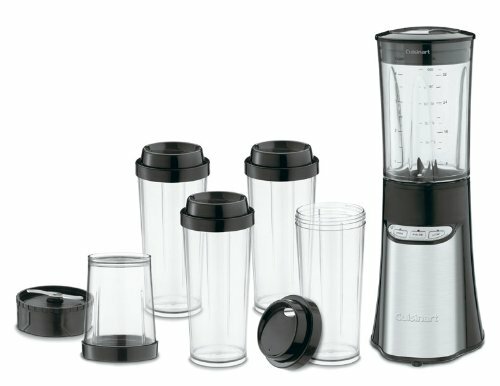 BPA-free tritan 32-ounce blender cup, 8-ounce chopper cup and a set of four 16-ounce "To-Go" cups. The Cuisinart CPB-300 has many exciting features for users of all types. 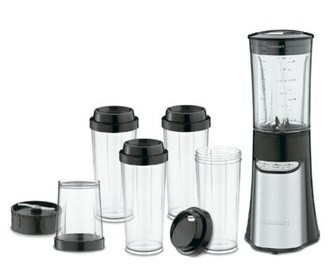 See the Cuisinart CPB-300 gallery images above for more product views. The Cuisinart CPB-300 is sold as a Brand New Unopened Item.